Simply put, influencer marketing is the process of identifying, researching, engaging, and supporting the creators of highly engaging and impactful content and conversations around your brand, services, or products. The value of influence over potential and current customers, however, isn’t exactly a new concept in marketing. With the rise of digital marketing, and social media in particular, information travels far and wide and can do so quickly, especially when facilitated by influencers. That is because they have large followings where they already have trust and influence and they can use that to shape engagement and sentiment towards loving or shunning a brand. It all sounds very rosy but it isn’t always smooth sailing. The industry is rife with influencer fraud. Influencer marketing is home to one of the biggest, most elaborate, and wide-spread scams in the history of marketing. If you’ve worked with influencers this year, chances are you’ve been part of this scam and it has cost you money. Watch this video to see the full extent of it. 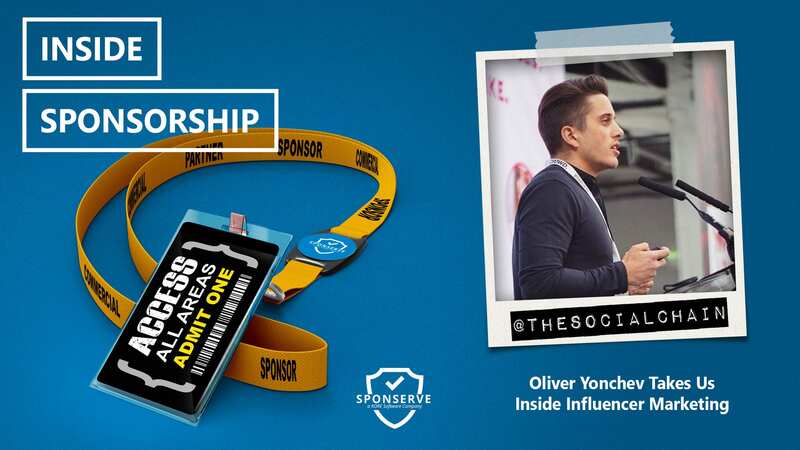 In this episode, Oliver Yonchev, Managing Director, USA at Social Chain joins us to discuss influencer marketing and provides some outstanding and practical advice and insights. If you like to connect with Oliver, you can do so on LinkedIn, and you can find out more about Social Chain on their website. Before we hear from Oliver, Sam Irvine, Director – Customer Strategy & Success, Australasia at SponServe, joins us to discuss his latest blog which looks at how to handle a sponsorship break-up. Here’s Sam. Also joining us on the show is SponServe’s Director – Customer Strategy & Success, Australasia, Sam Irvine, to discuss his latest blog, How To Handle A Sponsorship Break-Up.